For general ventilation applications, introduction of air, and extraction of fumes we have 4 different models of fan unit ideal for site use, with capacities ranging from 1000 to 3,000 CFM (1700 m3/hr - 5,000 m3/hr). These move air from one location to another and can be used alone or in multiples. Fans maybe fitted with flexible ducting and can be used to ventilate air in, extract air or fumes out, or used free-standing simply to circulate air. All items are portable or transportable on their own wheels and are designed to be "roll-up, plug-in, switch-on". 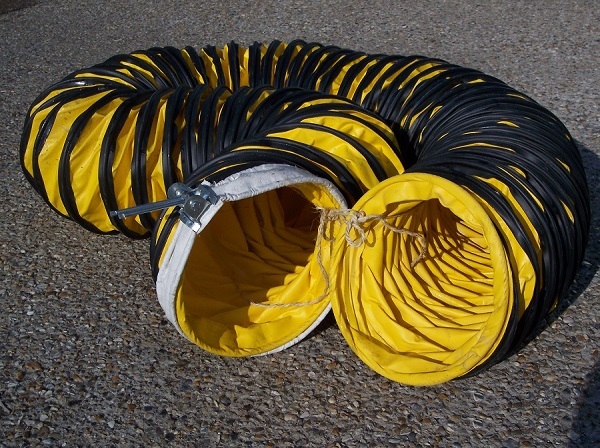 Flexible trunking is also available to hire or buy. * Power: 110 volt, single phase. 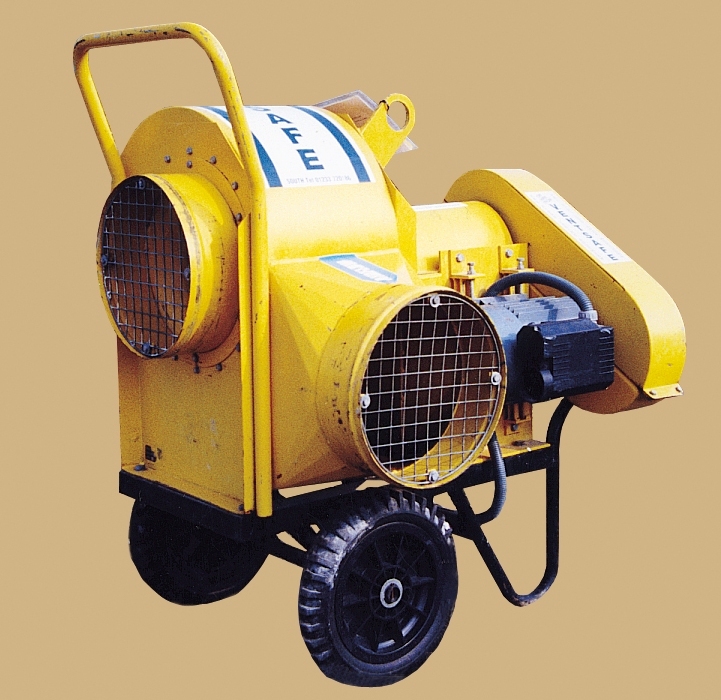 A high capacity fan for blowing or extracting air, fumes and light airborne dust; particularly suitable for long ducting lengths. Popular for extracting exhaust fumes from engine driven plant and equipment - used in conjunction with heat-resistant ducting. Flexible trunking is available to hire. Click here for more information on the VS 3000. 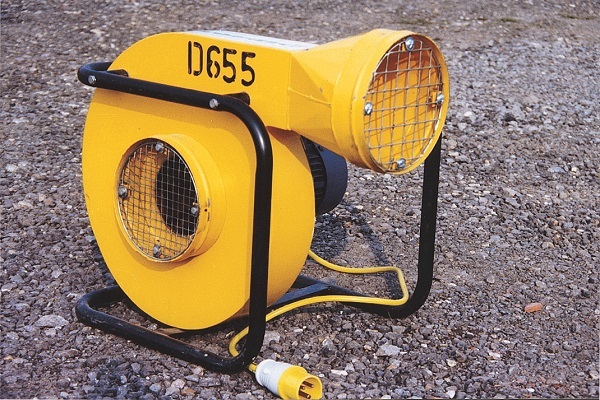 A medium volume ventilation fan for blowing or extracting air, fumes and light airborne dust. Flexible trunking is available to hire and a filter sock may also be fitted to the outlet spigot to entrap coarse dust. Click here for more details on the VS 1000. 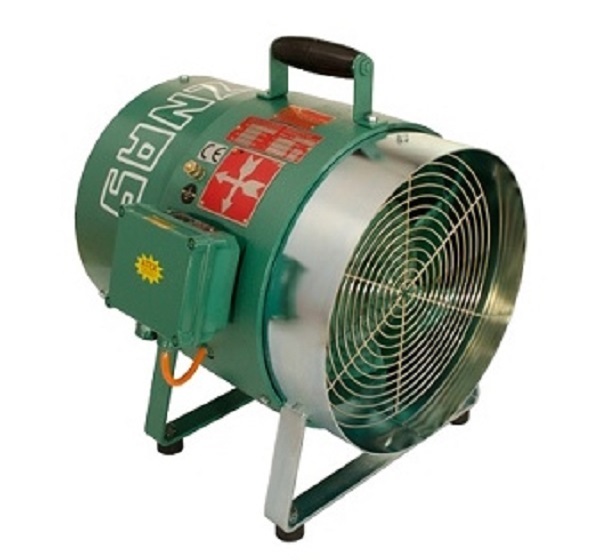 A compact, portable, and extremely robust axial fan ideal for moving a large volume of air through ductwork for cooling, fume removal, and also general blowing and exhausting of air. These units may be connected in a series at approx. 30m intervals to achieve very long duct runs. Click here for more details on the Spitzna Fan. 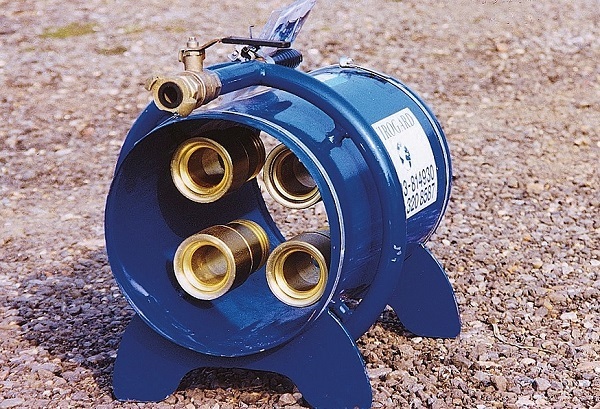 The Clustajet is a compressed air operated "fan" having no moving parts; it utilizes the Bernoulli effect (high velocity expansion of compressed air inducing a low pressure zone which draws in and entrains the surrounding air to produce bulk air movement). The clustajet is lightweight, virtually maintenance free, and can be used for blowing or extraction applications. Flexible trunking is also available to hire. Click here for more details on the Clustajet ventilator.